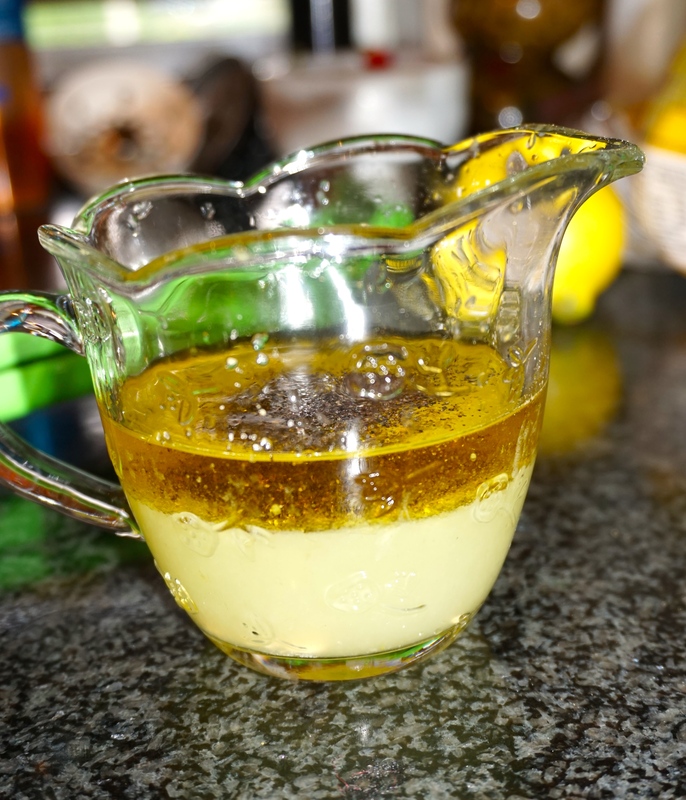 For the love of lemons…….a fab carb free yummy salad! 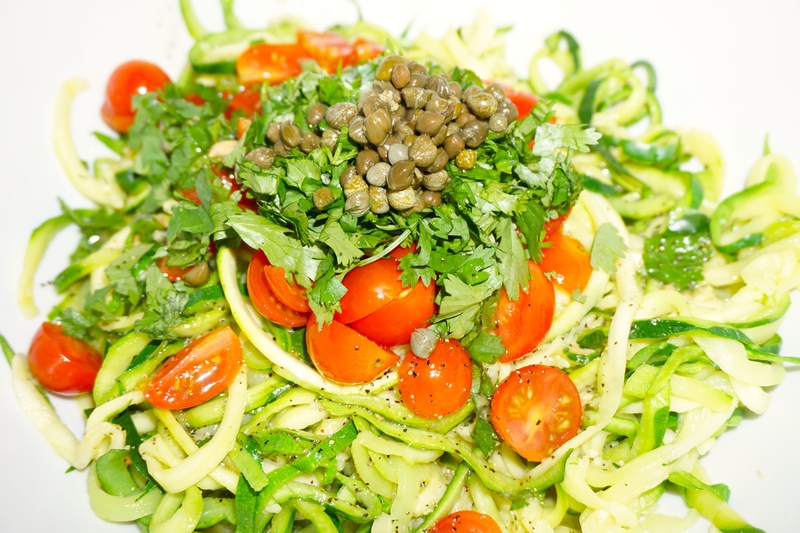 After I posted the recipe for my imitation version of the”Lemon Caper Capellini Salad” one of my blog readers made a comment that they made my salad and used basil instead of parsley and zucchini noodles instead of pasta! 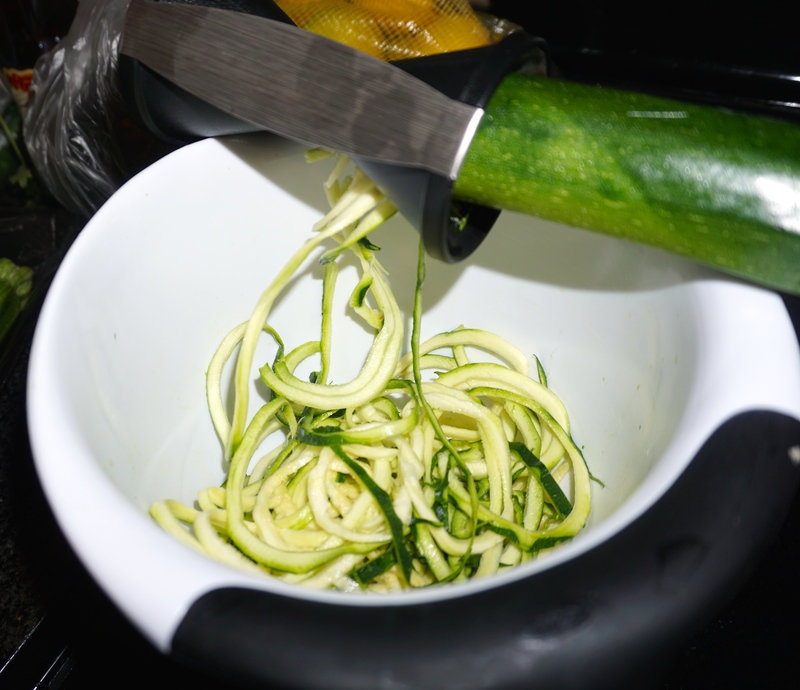 Started by putting my zucchini’s through my handy dandy spiralizer. 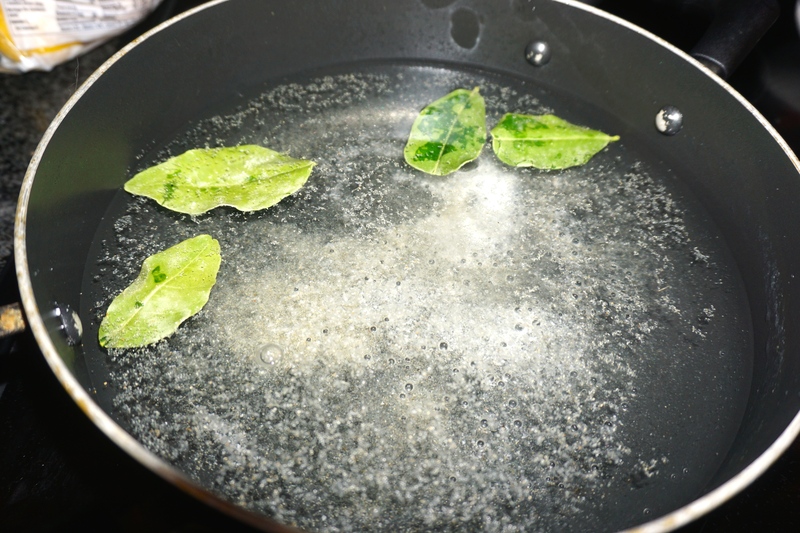 Then I proceeded to boil some water seasoned with salt, garlic powder and 4 kaffir lime leaves. 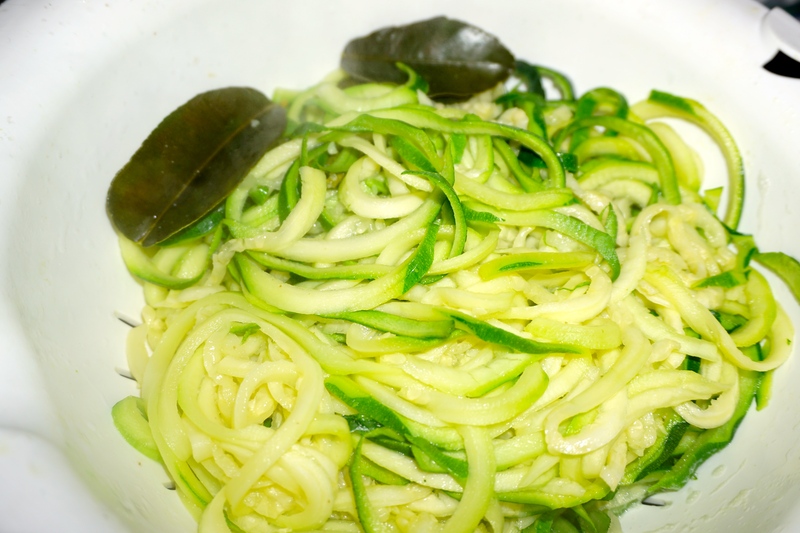 The kaffir lime leaves infused some lovely thai lime flavor into the zucchini noodles. Don’t have any but happen to have a lemon or lime tree, use those leaves instead, they are very aromatic! 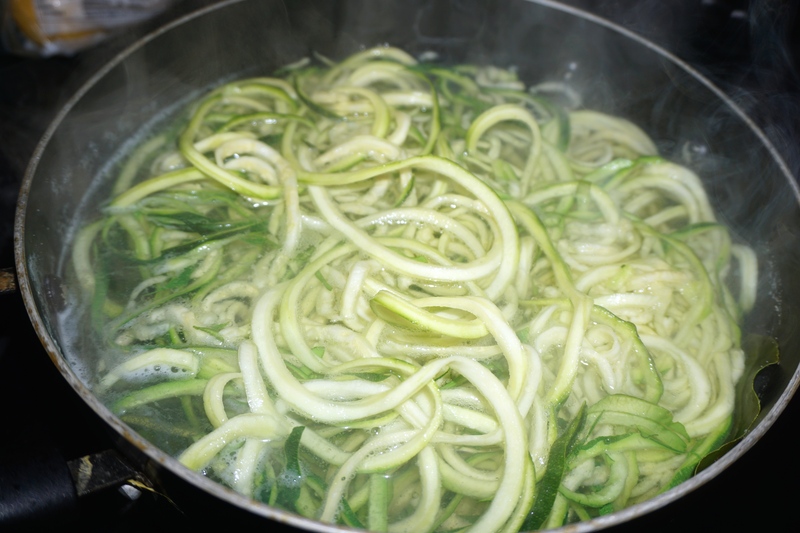 I let the zucchini noodles boil for just 2 minutes, any longer and you will have zucchini mush, 1 minute will give you an all dente texture. As soon as I got them out I placed them in an ice bath to stop the cooking process. Whilst they cooled down, I squeezed the lemons, mixed the juice with the olive oil, salt and pepper and put that to the side. I quartered my cherry tomatoes, chopped up the cilantro and got my capers. Now all that’s left it to put this delicious lemony Zucchini healthy salad together. 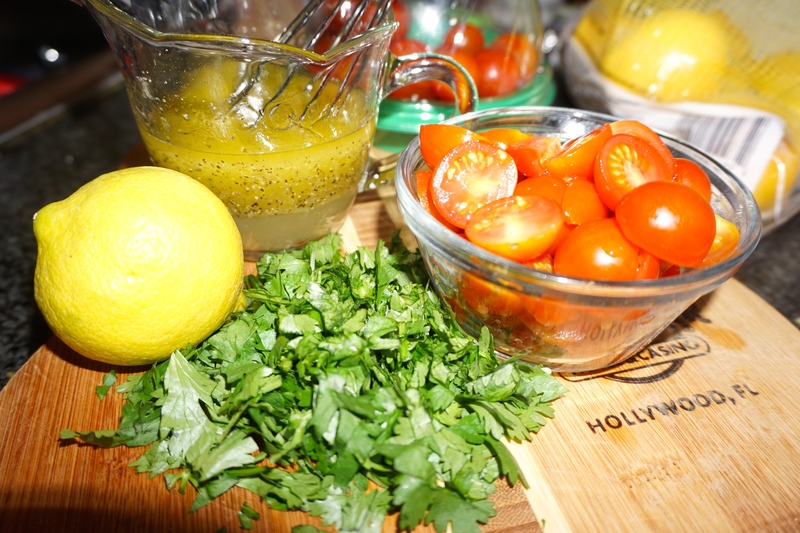 Add the tomatoes, cilantro, capers and top off with the lemon vinaigrette, give it a toss and kaboom, there we have it, if you love lemons, you will love love this guilt free salad! Prev Crustless Quiche for a Carbless Dinner…..